When it comes to selecting a new VoIP provider, the options will seem limitless. 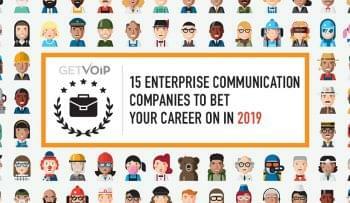 Between cable providers offering their own VoIP service, or dedicated residential VoIP and Hosted PBX providers, there certainly is a lot to choose from. On top of all that, there exists another option as well – something that can help cut down the cost of your phone service even more. The Ooma Telo, while not the only device of this kind in existence, is an example of that third option. Ooma sells their VoIP services a bit differently than the traditional providers. Ooma sells a number of solutions, including an Office solution that’s spawned many alternatives, but the Telo is probably their most popular and widely adopted. Users simply purchase the Telo device for a one time fee, hook it up to their broadband internet, and can make essentially unlimited calls for no monthly cost. At least, that’s what Ooma tells you. Without a monthly fee, the cost of operating an Ooma Telo is essentially just the initial hardware cost – but is all that money saving really worth it, especially compared to competitors like Vonage? While the Ooma Telo does come with its own set of benefits, its also not without some drawbacks as well. We decided to focus on some of the most compelling benefits and drawbacks of the Telo to offer a more complete look at the solution. The first thing we will start off with in this Ooma review are the positives. First we’ll start with the good, as the Ooma Telo does have a lot going for it. Most of the benefit of the Telo is the fact that you won’t have to break the bank for a basic phone service. As long as you have a fast enough internet connection, you should have no problems making and receiving calls without an extra monthly cost. There’s a couple of points that really stand out that help the Ooma Telo shine as a great alternative. For those interested, the Ooma Telo is available for purchase on Amazon. As mentioned already, and the most obvious benefit, is the fact that for their basic service, Ooma does not charge a monthly fee . Simply purchase the device, a mere $100 or less initial hardware cost, hook it up, get a number and you’re good to go. Ooma advertises unlimited calls to the U.S. without any monthly fee from the provider itself. Generally, a new telephone number would be limited to a big service provider that charges monthly, and sometimes the act of porting your old number will even cost you. One of the great things about the Ooma Telo is the availability of a completely new number for free with the device, or the ability to port your own – again for free. Whether you are setting up a completely new phone line for a new home or office, or just switching over and hoping to keep your existing number you won’t have to worry much at all. Or even pay much, for that matter. This makes the Ooma Telo a solid option for those that are looking to secondary line with a completely new number. 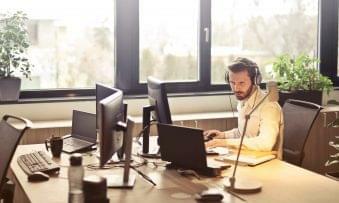 While this is quickly becoming the norm, as the majority of VoIP providers will include both mobile apps and an easy to use web interface, it absolutely counts as a benefit for the Telo. Especially when the cost is so low, even the basic plan without a monthly fee gains both mobile apps, and their online portal at no extra cost. The ability to access your phone line’s logs and information, as well as provision or configure your setup, in a flash from your web browser is a huge selling point for some of the larger providers. So even when you’re looking to cut costs, you won’t miss out on some of the best features with the Telo. To help keep costs even lower, the Ooma Telo comes out of the box compatible with most, if not all, existing phones and even routers or modems. Users also don’t even need a computer to plug their Telo into like most other similar alternatives, but just a broadband internet connection will do. Ooma does in fact sell their own phones, but users should have no problems at all utilizing their existing setup, or even purchasing some new, low cost phones from another manufacturer. A wide range of compatibility just help to facilitate an incredibly easy adoption and implementation process – far too often many of the large VoIP providers will require their own, or specific phones and will even sell them right with your new service plan for quite a bit more money than you expected to pay. Right off the bat, many might be under the impression that one of the biggest trade offs with an Ooma Telo would simple be the call quality. Sure, you can make unlimited calls monthly with no fee, and you can use any phone, and setup the system within minutes – but surely the call quality can’t compete with more expensive service providers? Believe it or not, the overwhelming concession is that the Ooma Telo actually provides some incredibly crystal clear calls. Now interruptions like jitters and packet loss can still exist, but that will really come down to your own internet connection and network – and even most call quality issues like packet loss can be mitigated with a proper network setup. 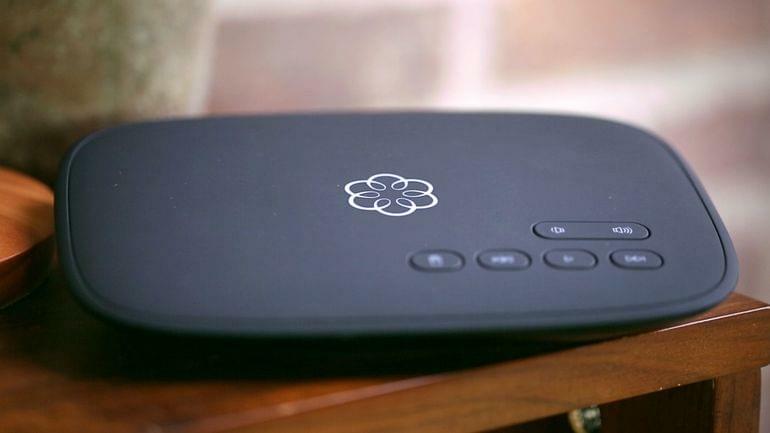 For such a low cost, the Ooma Telo delivers some impressive call quality. Now, like all services and products, while the Ooma Telo has a lot going for it – there are a quite a few drawbacks worth noting as well. While different users will find issues with different aspects and features, or lack of, we decided to focus mainly on the most glaring draw backs, and those that were felt universally amongst most current users. If considering an Ooma Telo, not one of these alone should be enough to make you reconsider – as most drawbacks are expected to come with such a low-price point. While Ooma themselves advertises zero, and does not charge, monthly fees, there is still a possibility you might find yourself paying monthly for an Ooma Telo. Even with their basic service plan, you will most likely have to pay a monthly tax – this isn’t Ooma’s fault specifically, as the telephony industry is a highly regulated one. Users will still have to pay a bit for a regulatory compliance fee, 911 service fee, a Federal Universal Service Charge, and possible state or local taxes. Ooma does not hide this, and makes it a point to include in their FAQ knowledge base, and even provides a useful tax calculator for users to estimate how much they might have to fork over in monthly taxes. Again, Ooma advertises unlimited monthly U.S. calling, both inbound and outbound without any extra charge. And while they are mostly spot on here, the majority of users will not run into any issues or see any limits placed on their service, it is completely possible you could run into such a situation. Generally limited to cases of abuse and over usage of the system, Ooma does reserve the right to limit users to 5,000 outgoing minutes per month. This is generally in place to keep the system as efficient and optimized as possible for all users, and of course not everything is completely free without any hitches. Thankfully, this limit is generally unenforced and limited to users with clear abuse of the service – for example commercial and business use on a solution meant for the home. And even if you do hit the limit, 5,000 outgoing minutes is still a lot for no charge. 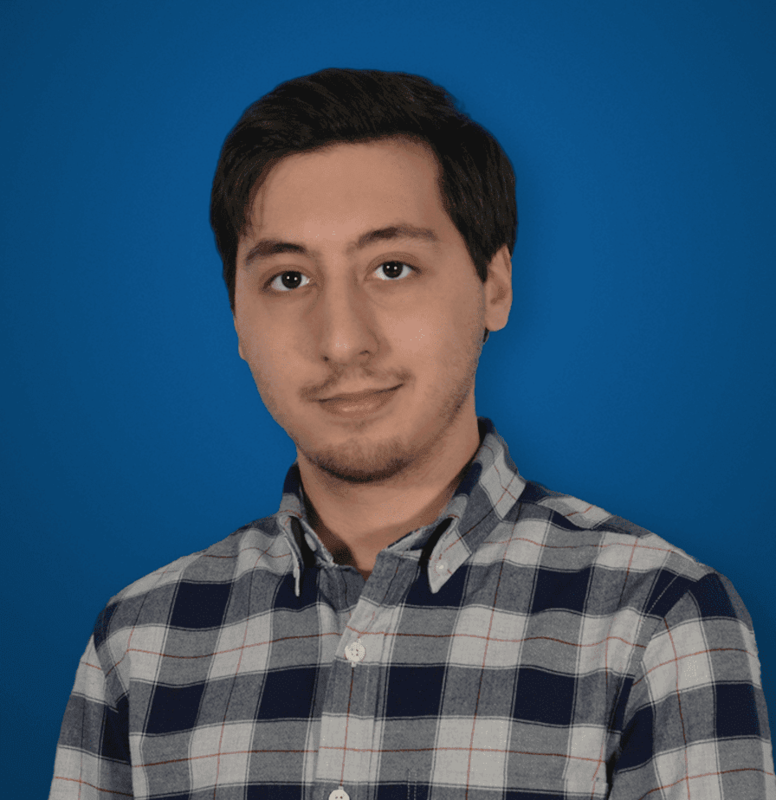 While the phone service itself might be exceptional, and configuration should be incredibly simple, there are many reports and user reviews that seem to complain of one common issue – awful customer service. In reality, many of us have to rely on customer service or technical support far too often, and when things go wrong we hope someone on the other end at least has all the answers – even if you end up waiting on hold for over a minute, believe it or not we tested Business VoIP provider’s hold times and some weren’t so great either. Unfortunately, such seems to be the case with Ooma as well – with outsourced and foreign customer service, the customer experience when things do go wrong might suffer a bit compared to a larger company, like RingCentral with really great customer service. So for an incredibly basic phone service, Ooma’s basic plan with zero monthly fee does come with a bit more than you would expect. However, quite a bit of features are, in fact left, out and locked away behind the Premier service with its $9.99 monthly fee. While basic does receive caller ID and call-waiting, online voicemail, number porting, an answering machine, online call log and 911 – it really ends there. Pretty much all other, well basic, call functions and features are limited to Premier subscribers, such as a second line, Canada and Mexico calling, three-way conferencing, voicemail monitoring, do not disturb, call forwarding, and multi-ring capabilities. While the basic plan works for, well a basic phone line, those looking for a landline replacement might end up finding themselves without the features they were used to. Unfortunately for the Ooma Telo, most homes utilize Wi-Fi with completely wireless network setups. It just doesn’t make sense for homeowners to bust open their walls, or plan an entire Ethernet route throughout their home. Wi-Fi speeds might be slightly slower, but will meet most basic needs and the simplicity is the real benefit. But while our homes might be Wi-Fi ready, the Ooma Telo is not. In fact, users will have to purchase a separate Wireless Adapter for their Ooma Telo if they truly want to keep their setup wireless. The need for an extra dongle or adapter will simply increase the initial cost of hardware when adopting a Telo, and might make setup a bit trickier for those that do not have access to a wired connection. In a similar fashion to the Ooma Office solution, the Ooma Telo makes a lot of sense when you just need an extra line, or hope to keep your telephony costs as low as completely possible. Thankfully, the Ooma means you don’t have to completely compromise, with call quality and features that rival more expensive providers, at least on the surface level, for example the web management portal. With the Telo, you receive essentially unlimited calls to the U.S., no monthly fee, a small initial hardware fee, and some surprisingly great call quality. Unfortunately, the features you do get are fairly shallow and might not totally match the more expensive competitors. Less than great customer service can be a fairly large downside as well, but if you are the DIY kind this shouldn’t be too much of a concern. Bottom line of this review- the Ooma Telo is a great option that will fit the needs of many, but it is not without its own drawbacks, and those are to be considered before making the jump. Disclosure – The GetVoIP team writes about stuff we hope you’ll like and strives to offer the best recommendations we can. Our team has affiliate partnerships, and may collect a referral commission from your purchase based off our recommendations. This does not influence the content we publish, but only supports our honest efforts to offer you the best and most transparent information. All recommendations are based on our own independent research and hands-on experience. Porting your existing phone number to Ooma is not free. It costs $39.99. Poor sound quality on handset.